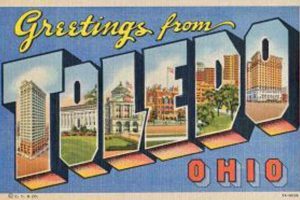 I’m just going to put this out there, although we’re biased as we’re a born and bred Toledo, Ohio based real estate agency, we all moved here for a reason – and that reason is that Toledo is arguably one of the best places to live in the United States. Just ask U.S. News & World Report, they ranked us in the top 100 Best Places to Live! You can’t beat that, right? Besides that point, Toledo is a great place to live whether you’re just starting out in your career or starting a family, there’s something for everyone in this little slice of heaven. From the diverse and engaging culture to the food, to the best schools, Toledo has a lot to offer no matter your age. With a mix of small-town vibes and big city entertainment, consider Toledo as the next place you call “home”. The national average cost of living in the United States is 100. Comparatively, Ohio is 88, and Toledo is 77. That means when you move to Toledo, your cost of living is lower than most places in the United States. With the average home costing $67,400, Toledo is a great place to live if you’re looking to get the biggest bang for your buck, especially when it comes to real estate. There’s something for everyone in Toledo. From our highly rated Toledo Zoo to free admission to the Toledo Museum of Art, you’ll never run out of fun things to do for the whole family to enjoy. A big plus? The number one rated amusement park in the world, Cedar Point, is close by! If that isn’t reason enough to consider Toledo your next home, then I don’t know what is. What’s the worst part about your job? Did you say the commute? We’d have to agree. But get this, one of the best things about living Toledo is the lack of traffic! Yes, you heard that correctly, the average commute in Toledo is 5.3 minutes shorter than the national average. Not only does that mean time saved in the car, but ultimately saves money, too! Who doesn’t like sports? Yes, we all enjoy heading to our children’s sporting events, but it’s always a special event attending collegiate and professional sporting events. Ohio is the mecca for sports, that’s a fact. From major rivalries such as Ohio State University vs. University of Michigan football to our own Toledo Walleye and Mud Hens in town, or a quick drive to watch the Browns or Cavaliers, Toledo’s sports have events for every type of fan. I’m not sure about you, but I’m a lover of all four seasons. Perfectly situated in the Midwest where you get the perfect amount of snow in the winters and long, warm days in the summer, Toledo is a great place where you’re able to enjoy what every season has to offer. Whether you like to run, hike, or take long walks, Toledo’s weather allows you to be outside and enjoy the natural outdoors. Right now is the best time to start thinking about your move to Toledo. At The Degnan Group at Key Realty, we all agree it has a lot to offer for growing families. For the most professional and knowledgeable realtors in the area, contact us to see why Toledo is the best place to live in America.